In patients with poor compliance or even absence of compliance, the risk for a severe corneal infection following the surgery is greatly increased. Therefore, we have developed the “Light for Sight” protocol. 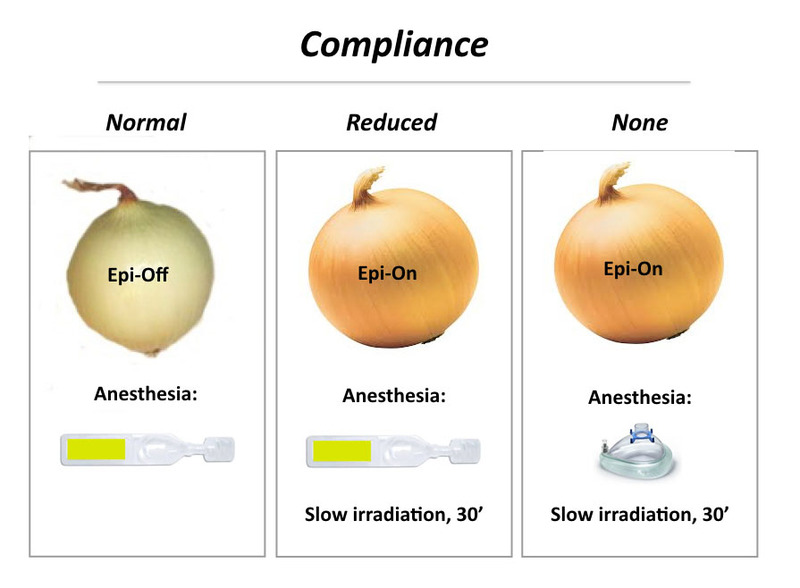 Why epi-on in patients with reduced to no compliance? Because in this type of patients, the risk of severe postoperative infection due to excessive eye rubbing is very high. Although recent studies indicate that the effectiveness of an epi-on procedure is reduced and approximately 70% ( as opposed to 95% in epi-off), we believe that in these special cases, it is justified to consciously choose the lower effectiveness to reduce the risk for postoperative infection.